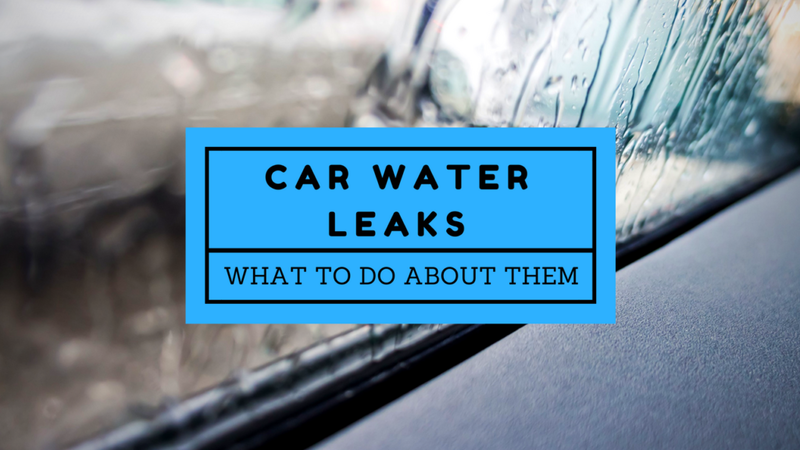 Do you have a water leak in your car? Summer rain is a normal daily occurrence here in Central Florida and you need to prepare yourself AND your car to handle it. The best way to prep yourself is to refresh your safe driving knowledge, and you can prep your car by making sure it gets routine auto maintenance to keep things like wipers, tires, brakes, and headlights in top notch shape. However, stuff happens – what should you do if you find that you have a water leak inside of your car? Water leaks can cause huge issues if you don’t take care of them in a timely manner. They can destroy upholstery and ruin leather, fry electronics, and even cause rusting… all of which are not exactly cheap to repair! Additionally, dampness inside of your car – which is an enclosed space in a hot climate – can quickly lead to mold and mildew. Mold and mildew smell awful, can stain, and also can lead to serious health issues along the way. Toyota of Clermont is here with tips to help you pinpoint and deal with a water leak without too much stress. Your first step should be to pinpoint where the leak originates from. If you see water actively dripping, then your job just got a whole lot easier! If not, don’t worry – the best way to find the source of the water leak is to start at the bottom and work your way up. Slowly move from the front bumper up the car and over the roof, pouring water until you see it begin to leak into the interior. If you see water on the floor of the car, you need to pull up the carpet to see where it’s coming from. Look for pooled water, rust, and any holes or damaged spots where the water might be coming in. You might also see swelling. And don’t forget about the mechanical side of things. You can also get leaks inside of your car due to its mechanics going haywire! You may find water in your vehicle due to a clogged air conditioner drain, a clogged sunroof drain, or a problem with your car’s heater. What now? Let Toyota of Clermont help you dry things out. Once you’ve found where the water is coming from, it’s time to seal the spot and test again. However, if you’re having a problem finding the exact location of the water leak or suspect it’s from something mechanical, it’s time to bring in the experts. Luckily for you, Toyota of Clermont can help! We can fix your water leak quickly and affordable and get you back on the road in no time. Call our Toyota Service Center today – we’re open seven days a week at (352) 404-7001! 0 comment(s) so far on Do you have a water leak in your car?